The "floating notification" style of app seems to be popular with a small but enthusiastic subset of users. 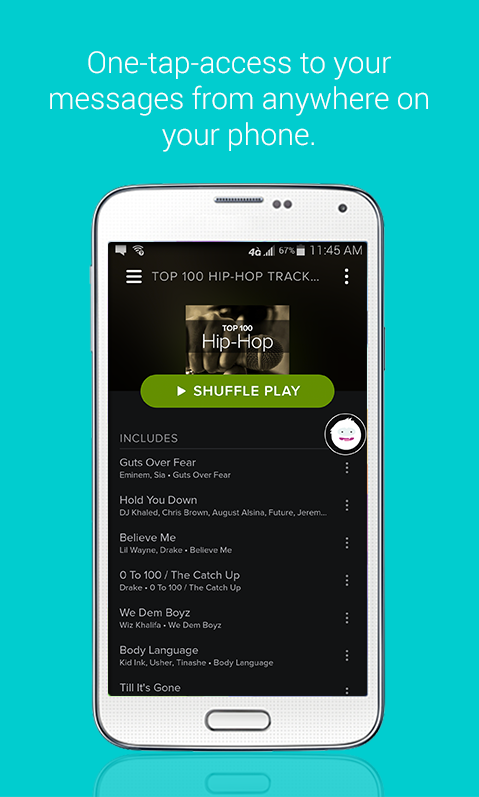 Now those users have at least one more alternative, this time encompassing a wide range of texting and chatting apps. Meet Snowball, designed by a team that's being directly funded by a prospective investment from Google Ventures, among others. The idea behind the app is to create a unified messaging inbox that floats above the rest of Android. 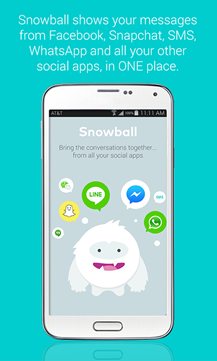 Snowball lives in a little white slide-out circle, almost entirely hidden on the side of your screen. 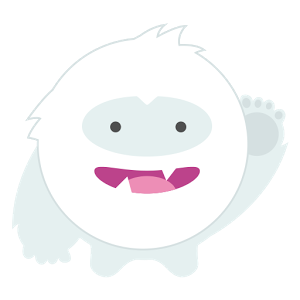 When one of the compatible chat apps gets a new notification, the circle pops out and the tiny abominable snowman mascot waives at you, very much like Facebook's Chat Heads feature. 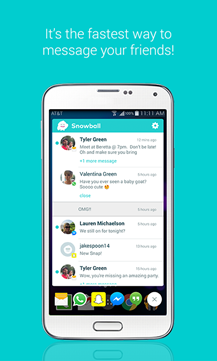 Tap the circle and Snowball will launch in a window on top of whatever you're doing, showing you the latest messages across all your texting and messaging apps in a timed list, more or less like an email inbox. 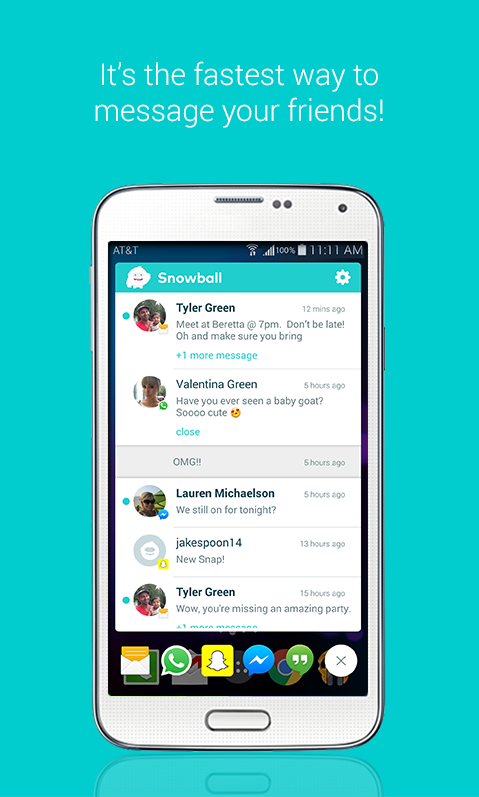 At beta launch, Snowball supports Hangouts, Facebook Messenger, WhatsApp, Snapchat, WeChat, Line, Slack, and the default SMS and Twitter apps. Here's the thing: tapping on any one of those messages will boot you out of the Snowball window and into the relevant app. Snowball can't reply in its own window, making it more of a viewer than a client. This being the case, the app is basically a secondary notification shade that's only for the chat apps it currently supports. It's pretty and much more organized, but aside from the timeline view it doesn't really offer anything in the way of extra functionality. 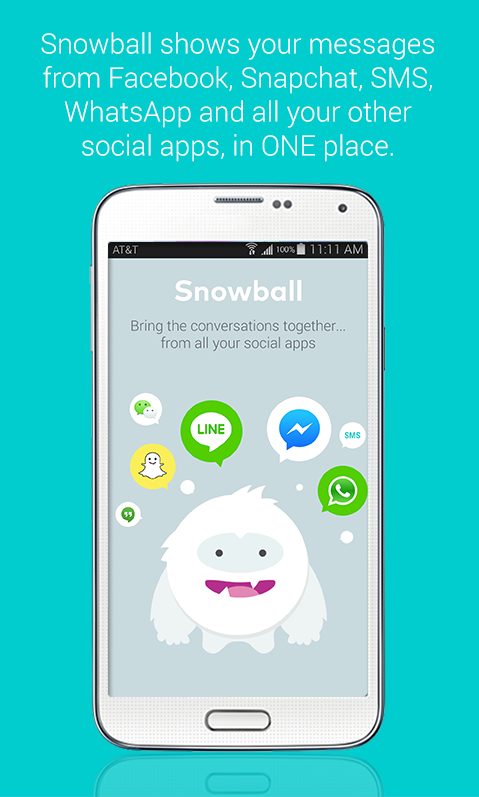 Snowball is free to download and use, and the developers say that more app support is coming soon. Source: Google Ventures - thanks, Champs Santos!